Salary, earnings, wages, compensation—however you put it, the money we’re paid in return for our work is important to us. We expect two people working in the same place—having the same amount of experience and the same educational background, and doing the same work—would be paid the same salary. After all, it’s only fair, right? Well, it may be fair, but it’s not always a given. Unfortunately, even in the United States, women are still fighting for equal pay for equal work in many workplaces. Employment statistics show there’s still a discrepancy between male and female salaries, particularly in the upper echelons of the business world. But is it true for nursing? Are salaries higher for male nurses than for female nurses? Let’s see. According to a report published earlier this year by Catalyst, a nonprofit organization that, among other things, monitors salaries and work conditions for women, men are still outpacing women in salary even when they first graduate from school, let alone after they have been climbing the ranks for a while. The United States Bureau of Labor Statistics (BLS) published an article in 2006 which said that women’s “median usual weekly earnings were 81.0 percent of men’s in 2005 among full-time wage and salary workers.” So, we know that wage inequity still exists. But what about with nurses? 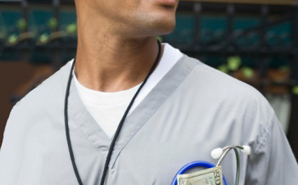 There have been rumors of male nurses making more money than female nurses, but is there any truth to this? Well, that depends on how you look at it. BLS numbers from 2008 show that female RNs earned a median weekly salary of $1,011, while the median weekly earning for male nurses was $1,168—meaning that women made only 86.6 percent of what men made. This isn’t much higher than the 81 percent noted in 2005. But—and this is important—is this because of actual wage differences, with Nurse Mary earning $24.50 per hour and Nurse John earning $26 per hour, or is there more to it?